Naga City - Holidays are here! Gift suggestions may not just be enough when we try to figure out what to get for the special people around us. One of the basic questions we ask is "What does he/she like?" Perhaps if we know the person too well, getting something useful for them is always the best option. 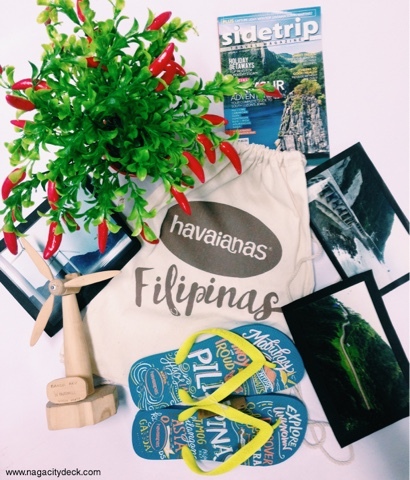 Havaianas recently launched Filipinas 2015 with a new collection. 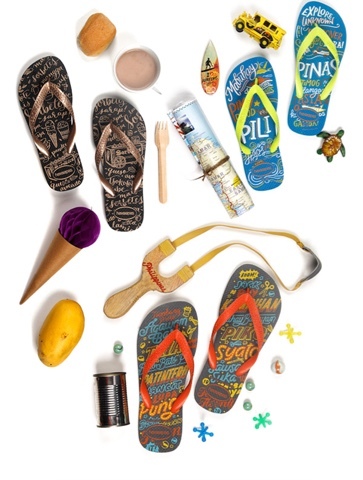 Havaianas continues to celebrate fun, fashion, and creativity as the brand collaborates with three young Filipino artists: Abbey Sy, Alessandra Lanot, and Patrick Cabral. The three designs (Lakbay by Abbey Sy, Laro by Patrick Cabral, and Lasap by Alessandra Lanot) perfectly capture the fun of Philippine travel, food, and childhood games. 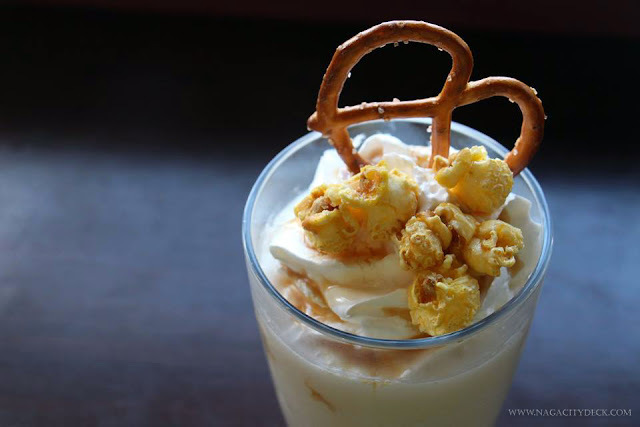 NCD is a lifestyle, food, travel blog and everything in between. Having the "Lakbay" pair made me realize that printed photographs are still the best when it comes to retrieving our travel memoirs. While we leave footprints in the places we visit and take nothing but pictures, that precious moment how and where we took them will always linger in our memories. 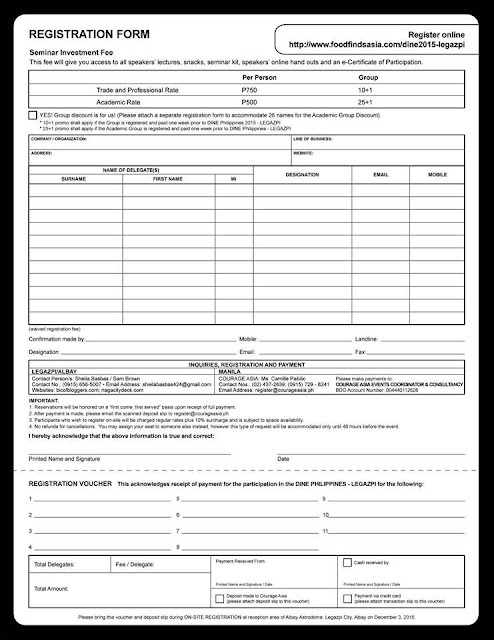 Printed photographs are easier to retrieve and will not need any device to view it. Sure we spend a little extra for developing our shots, but one day, we will surely appreciate that we did have them printed. Photo enthusiasts and professionals takes a big deal out of storage devices. Like a decent flash drive is not enough but external hard drives is a must. I regret that I am failing the aspect of having my photos printed and relying too much on the digital advantage. But I guess it's never too late, I hope I can find another time and sit down and extract my photos from my storage devices and have the special ones printed. On the photo are some of the photos that I took way back 2010. That was the last time I did it. Gosh that's too long a time already. 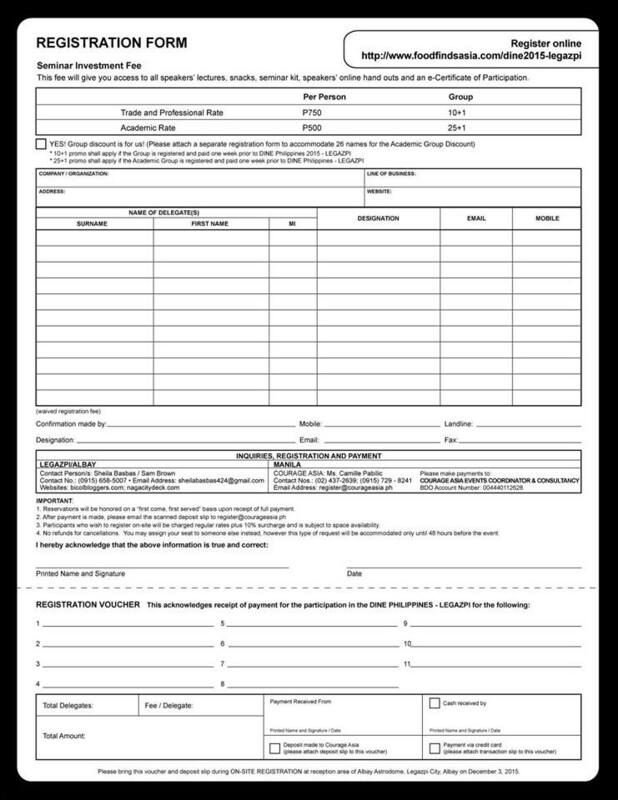 Traveling does not stop and photos are now in bulk so let's take time to print them once in a while. So if you have travel buddies, getting them this pair will surely boost up their lust for traveling. 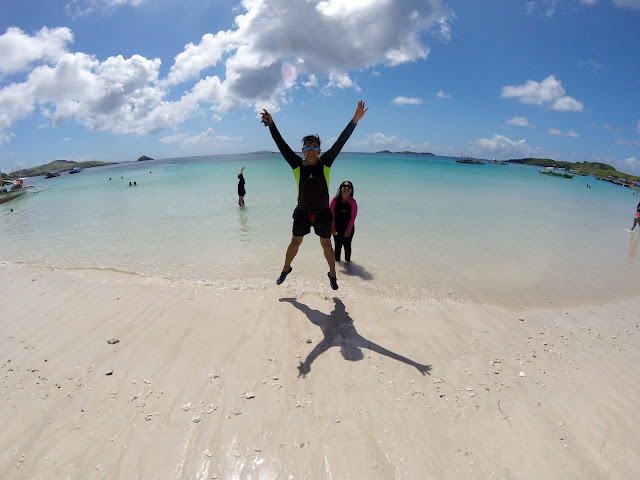 Like Havaianas, they also remind us to never stop exploring what our country has to offer. Like what I usually say, exploring your own city, province and region is endless. Bring back the good ol' days with your best friends! This year's Filipinas collection will have the barkada remembering the games, food, and endless summers of childhood. Each pair comes in a drawstring knapsack too. Limited edition pairs are only P1,195 at any All Flip-Flops stores or at any select Havaianas retailers nationwide. Philippines - Just as when we were so busy for our outreach activity, I kept on following the updates on Twitter regarding today's pageant, Miss Universe. The moment when Pia Wurtzback got in the Top 5 and Top 3, we all had goosebumps right then and there. Miss Universe Colombia contestant Ariadna Gutierrez was mistakenly announced as the winner of Miss Universe by the host Steve Harvey. Ms. Colombia wore the crown for four minutes. Miss Philippines Pia Alonzo Wurtzbach was eventually announced as Miss Universe 2015. After 42 long years, the crown is back to our country. A very proud moment for us all! Video uploaded by: www.7News.com.au on Facebook. Here's Steve Harvey's reiterated apology as posted on his Facebook account. Finally! I got to ride an E-Trike! Normally, E-Trikes and Taxicles are almost always fully loaded. For a greener Naga, E-trikes will definitely help lessen air pollution in our city if eventually old tricycles will be phased out. I know any bold move of replacing the old with the new irks a bit our Tricycle operators. I hope they become open minded about this green initiative. 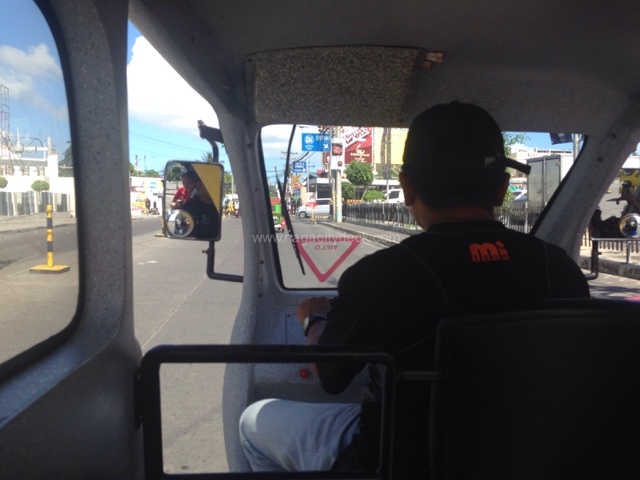 Electric tricycles can also accommodate 6 to 8 passengers similar to that of the Taxicles. Believed to have low operating cost than that of the gasoline operated tricycles, E-trikes also has a minimum fare of P8. Since it is electric, expect a quite journey when it comes to its mechanism. Though quietness of the engine is a plus, I hope the units can have railings where passengers can hold on to especially if you're seated at the middle and the rear of the tricycle. The sudden force of the unit when accelerating can make the passenger feel unbalanced and I for myself fear of falling at the back of the unit. But overall, the electric tricycles are definitely for the win since we need to lessen our air-pollution in our city. 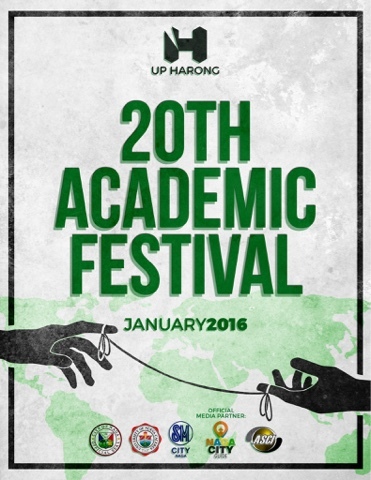 together with the Naga City Government, University of Nueva Caceres, SM City Naga, and ASIAWISE STUDY CENTER, INC.
For inquiries, contact Paula (0929 474 8617) or send an email to acadfest@gmail.com. 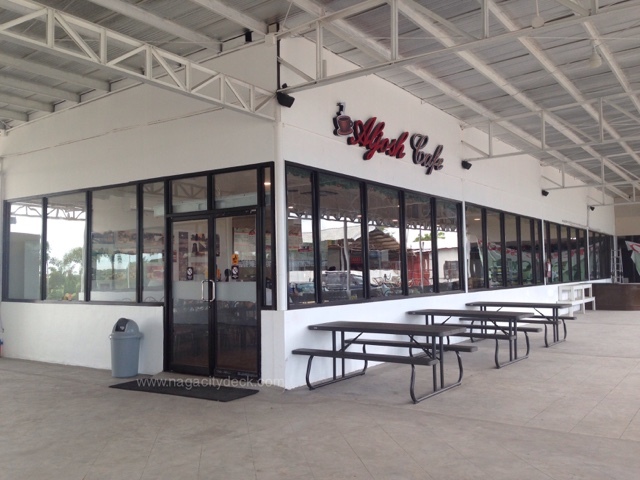 Naga City - Another cafe! Yes! 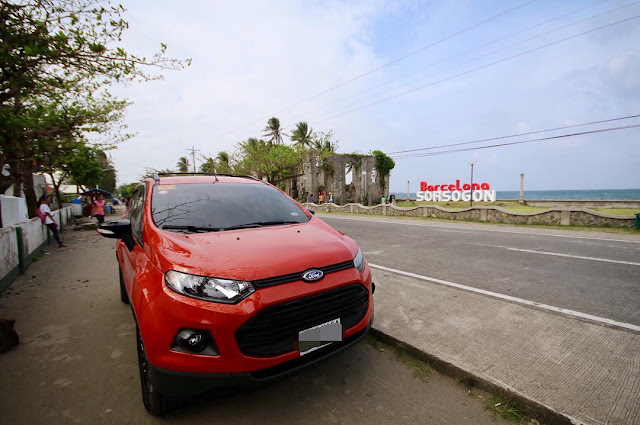 Another one in Magsaysay Avenue! 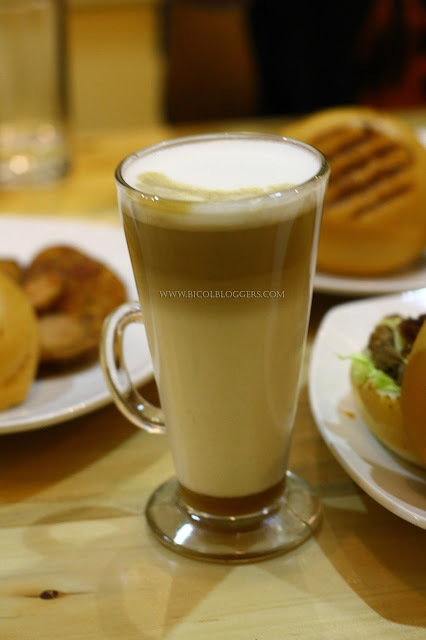 Naga's orbit of coffee shops is becoming huge as new concepts and different passions collide among businessmen. Games of some sort like chess boards or snakes and ladders etc. 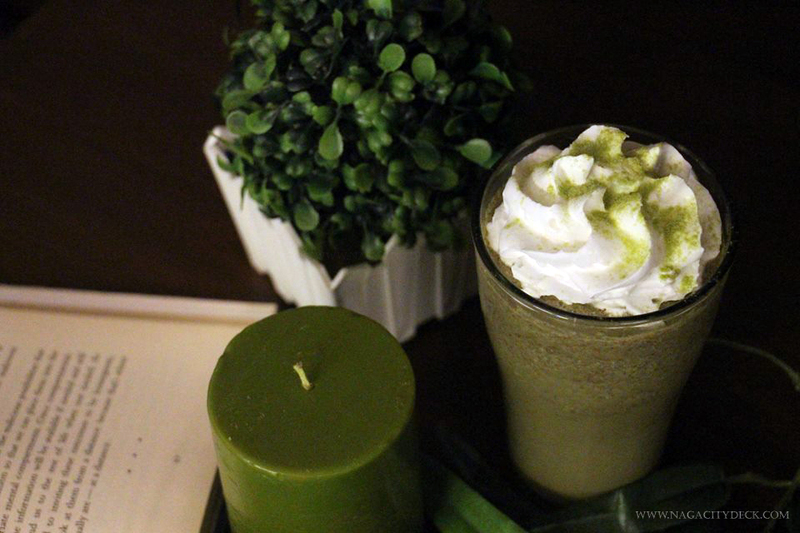 are common in a number of coffee shops in Naga. 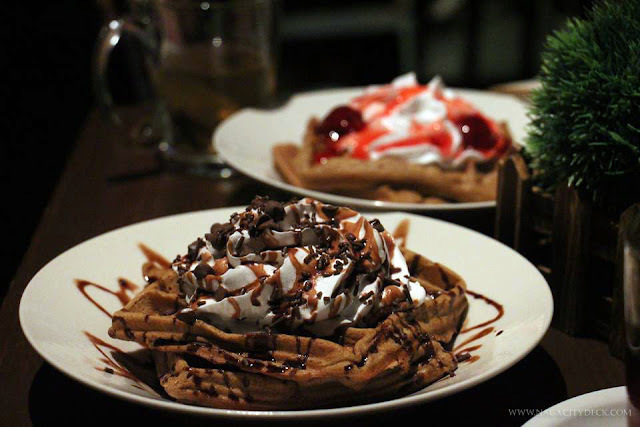 These are an added entertainment value on the establishment aside from the main feature which can be a specialty dish or the concept of the place. 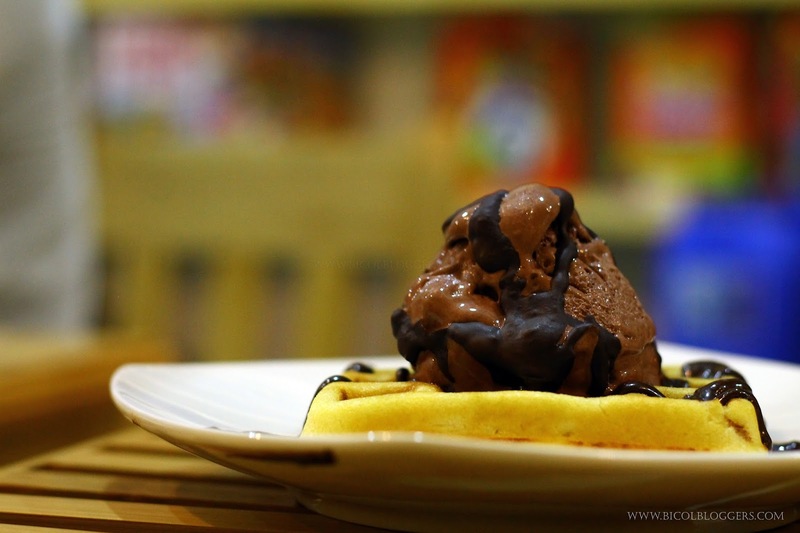 There's a new cafe in the city which focused on this extra entertainment value where people of all ages can play, enjoy and eat to their heart's content. Board Game Capital of Naga. 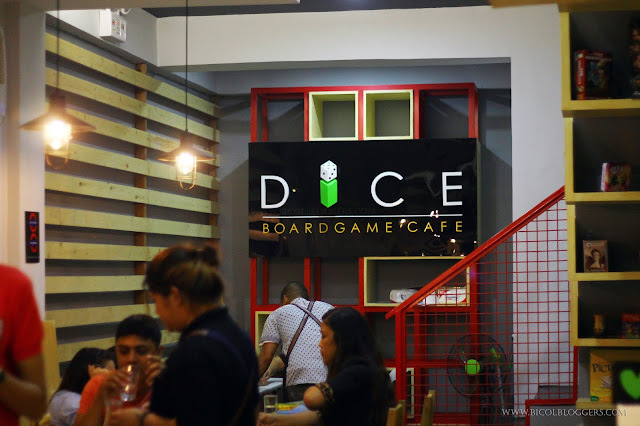 Dice BoardGame Cafe is of no doubt the Board Game capital in Naga City. 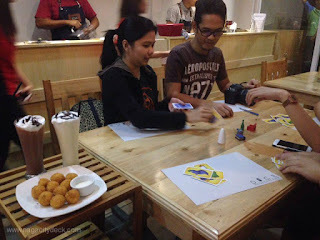 The owners, who are a circle of friends, realized on putting up the first place in Naga for board game fanatics. 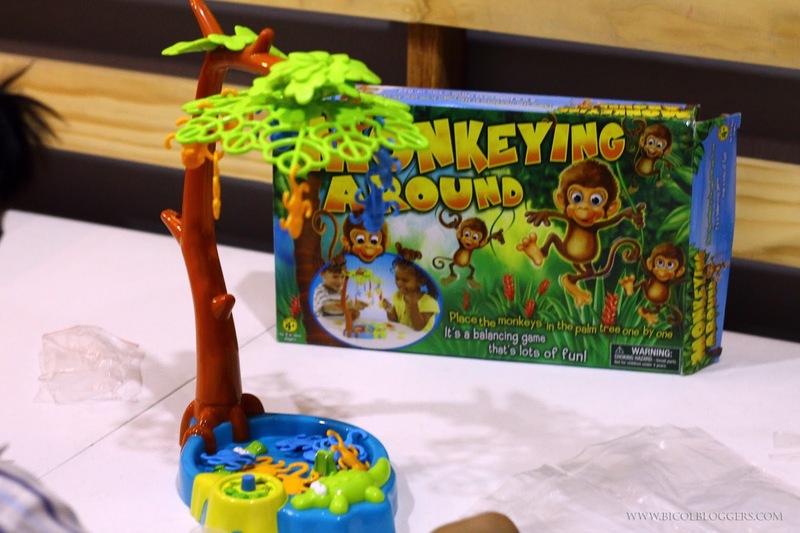 Playing board games has been their stress reliever and the collection grew and grew as they discover games of various themes. 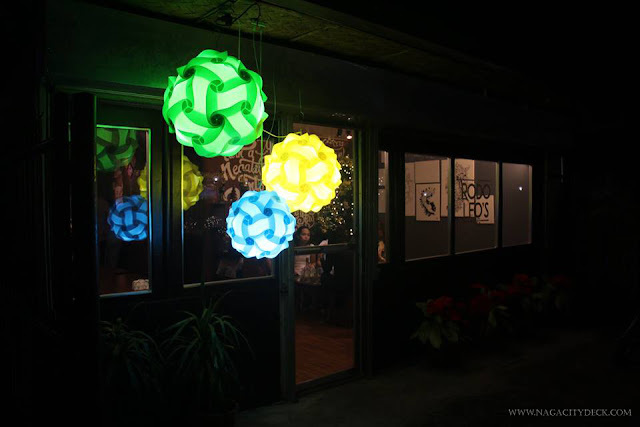 They got inspired of a cafe in Manila of the same kind and decided to have their own version here in Naga. The long stretch of games are based on so many aspects that will require logical and analytical thinking, hand and eye coordination, precision, strategic alliances, money matters and many more. Different characters, different communities, movie based or even series based (Game of Thrones caught my attention), with characters so creative and unthinkable, adorable and warrior-like and the list can go on and on. All these descriptions about the board games are never enough as there are around 80 AND COUNTING sourced locally and abroad. An opportunity to play board games we may never be able to purchase in our lifetime. First, the rack of board games at Dice will give us the opportunity to play games we never thought existed. From the packaging, they have the impression that all these board games are really expensive and it's not a joke if you lose a piece or two. 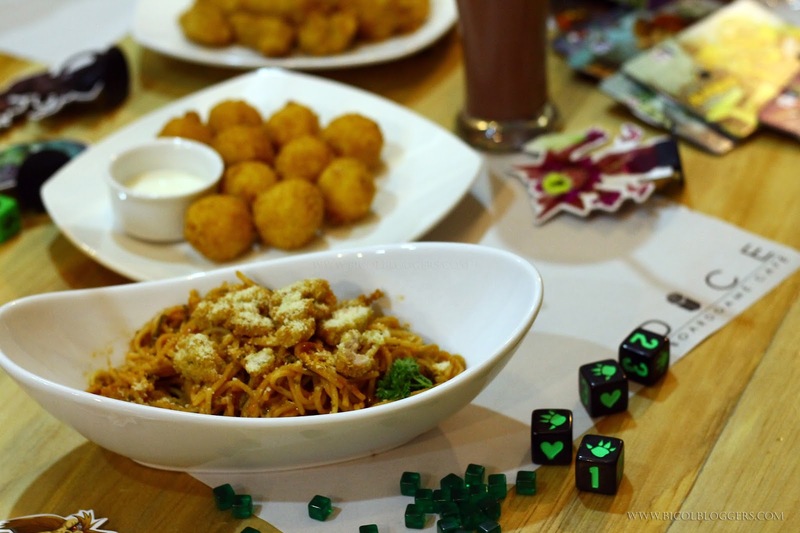 You will be open to a new world of games when you visit this cafe. Secondly, Dice is giving us the opportunity to play with games where most of us didn't ever prioritize to purchase for our families. With this opportunity, we should be thankful that Dice is sharing the fun and joy that they too experienced. And mind you, these are all hard earned board games that's why we too should handle them with care. Don't rock the boat! So be careful where to put your penguins! 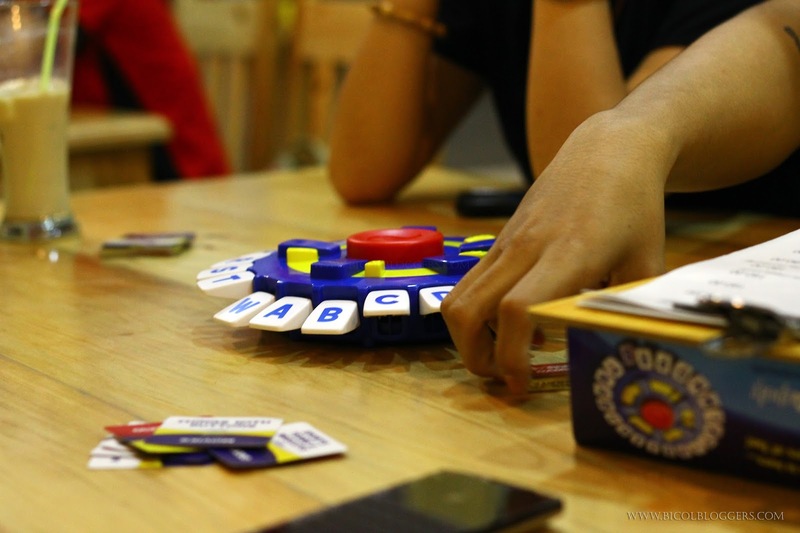 Traditional board games will help us do more human interaction which we lack nowadays when dining out in restaurants. It's a common scenario when customers use their smartphones and tablets as if having their own worlds even though they are all seated in one table. Here at Dice, the traditional way of playing board games will boost relationships between family or friends. Any game that is tangible and interactive in a face to face manner is still therapeutic than by just tapping on tablets and playing online. This game requires concentration. Trust me, don't let the size of it fool you for it requires brain exercise. One board game per table policy. 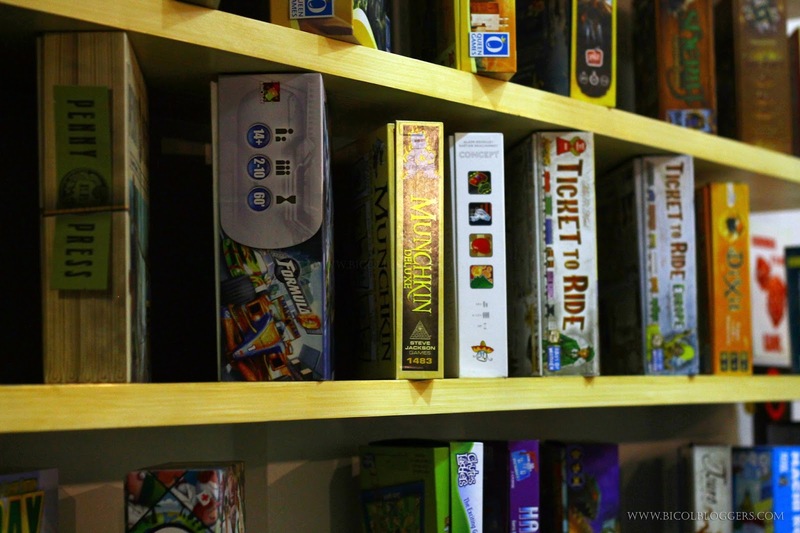 While there are numerous board games to choose from, only one game per table is allowed. Having this kind of policy will somehow lengthen the lifespan of the board games. The tables at Dice is also ideal for only one game. 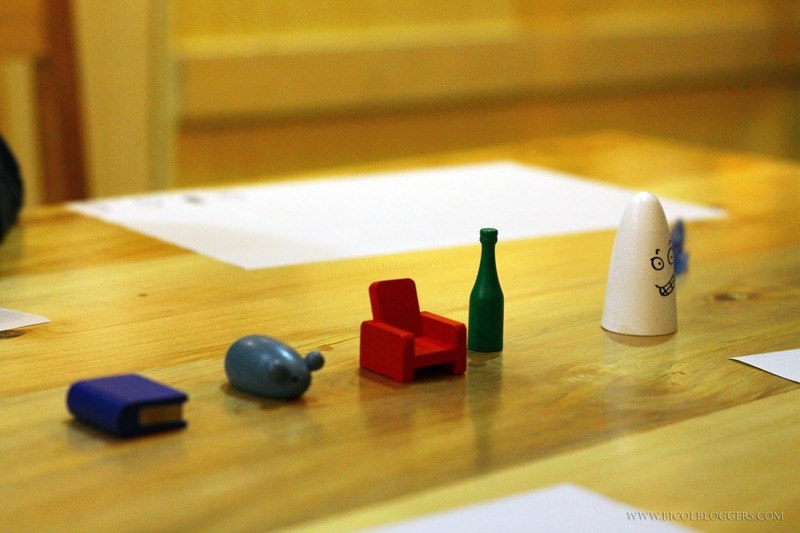 While waiting for your food, you can start choosing your board game or toy. You can also ask for recommendations from any of the crew. Plus, they will also give you a little introduction about the game and show you how it's going to be played. There are games that require more time that you can continue during your next visit. At least you'll get to try Dice's food again and you'll have more reasons to go back since there are so many games to choose from and I heard they are still adding more. Notice where are food were placed while waiting for the the orders to be complete? Yup, there's a rack so that the pieces of the board games won't get spoiled and wet. Of course you want to play freely right? Trust me you need space, especially when the excitement level of the game rises, you'll never know where your hands might be going haha. Now about the food. 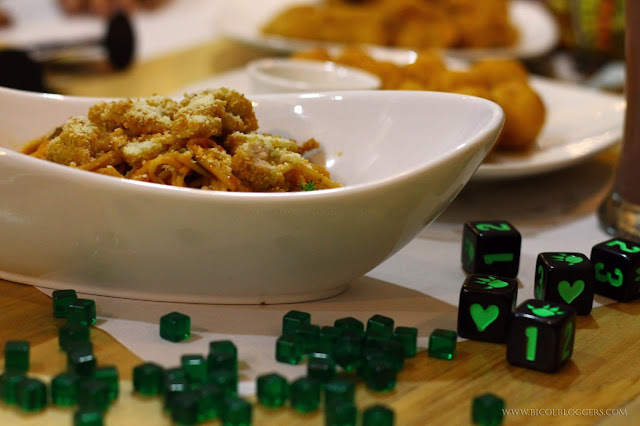 Dice offers starters, burgers, pasta, dessert and drinks. For STARTERS, there are Potato Wedges, Potato Tokens, Fries Overload, Nachos, Calamares, Cheese Balls, Fish and Chips, Ham and Cheese Roll and Chicken Tenders. 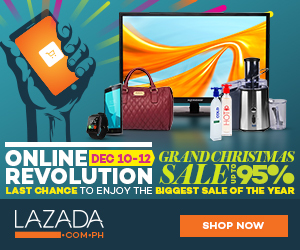 Price ranges from P110 to P180. We got to try the Potato Tokens which is somehow Mojos-inspired of Shakeys and the Cheese Balls which I have to say can be a must-order every time you're at Dice. No wonder that the Cheese Balls is one of their best sellers. 10 pieces of cheese balls per serving and the sauce is so delicious! BURGERS are from P180 to P220. Choose from Classic, Triple Bacon, Triple Chili Cheese and Hawaiian Bacon Burger. The burgers are paired with Potato Wedges and can be good for sharing for the not so heavy eaters. 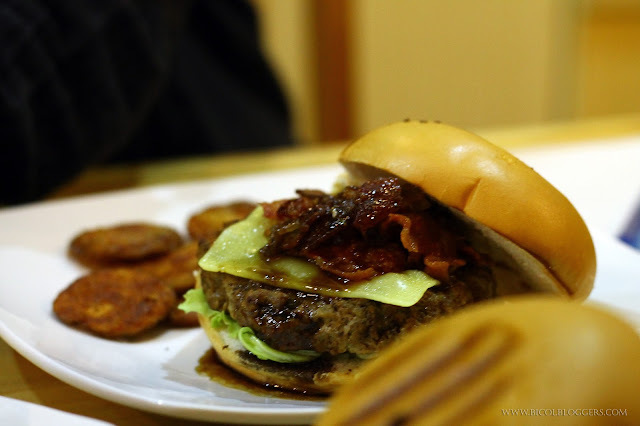 The most interesting burger they have for me personally is the Triple Bacon and Triple Chili Burger. Who doesn't love Bacon right? These two have a special bacon jam and spread which I think (I may be wrong) I haven't seen in any other restaurants here in Naga. The patty also has bacon bits in it. When I usually hear Hawaiian Burgers, I usually remember my favorite Amazing Aloha from Jollibee back when I was still in high school. Then suddenly there was a slight change in taste. 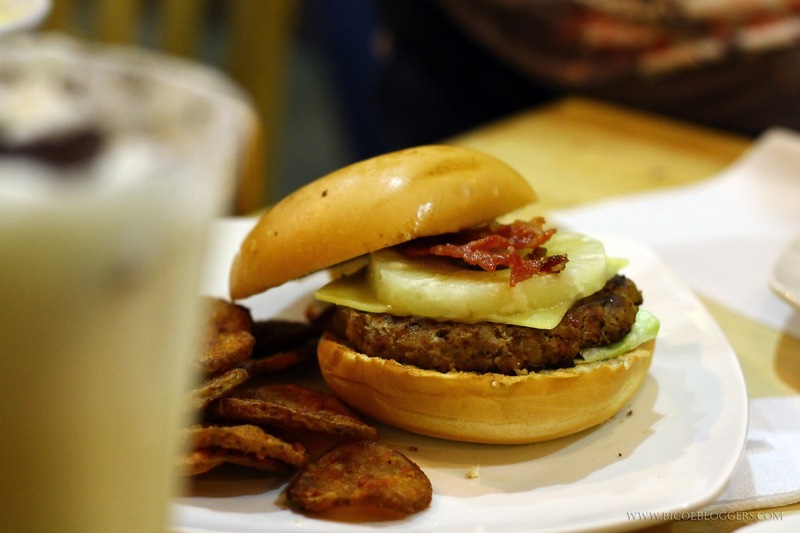 From that time on, I have been searching for the best Hawaiian Burger there is in town. 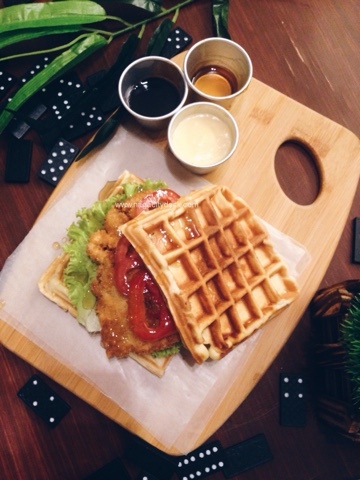 The Hawaiian Bacon Burger of Dice may be a bit close to that but I hope next time it will be juicier. Don't get me wrong though, the patties are really flavorful. 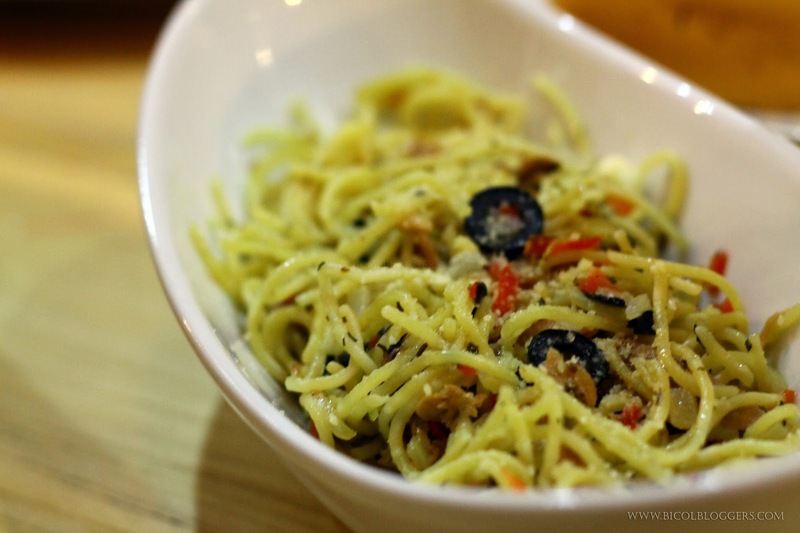 All of the PASTA available is priced at P150. Pretty good serving size which can also be for sharing and their best seller is the Tomato-Pesto. They also have Creamy Carbonara and Tuna Pesto Pasta. Hot Drinks start from P45 to P90. Cold Drinks start at P 40 to P105 while Milk Shakes are at P150. Specialty coffees will soon be available at Dice. Will just update you about it once available. "Happy games kind of noise" is a standard at Dice. 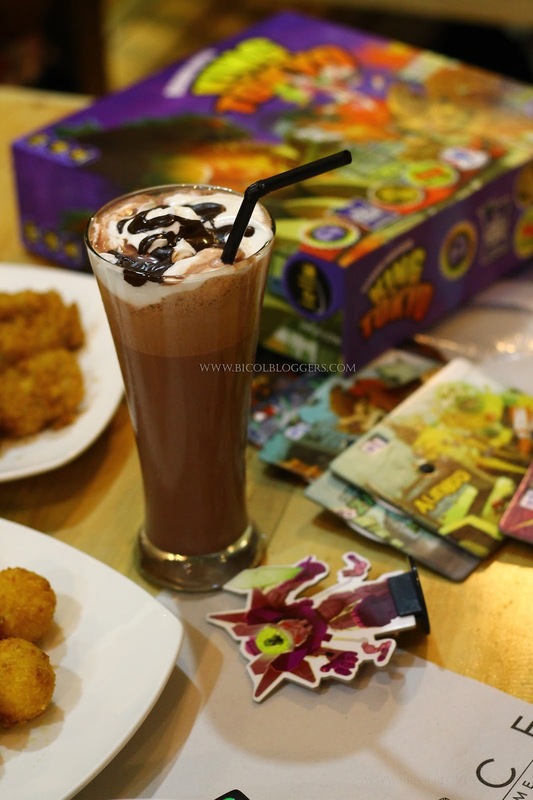 Talking about games as an extra entertainment value in other cafes, we sometimes get annoyed when we hear customers laughing out loud because of the board games that they are playing. Here at Dice, noise brought about the games is a standard. You will never get annoyed since it's a guarantee that your group will enjoy the games and laugh out loud. Dice is definitely not the alone time kind of cafe. 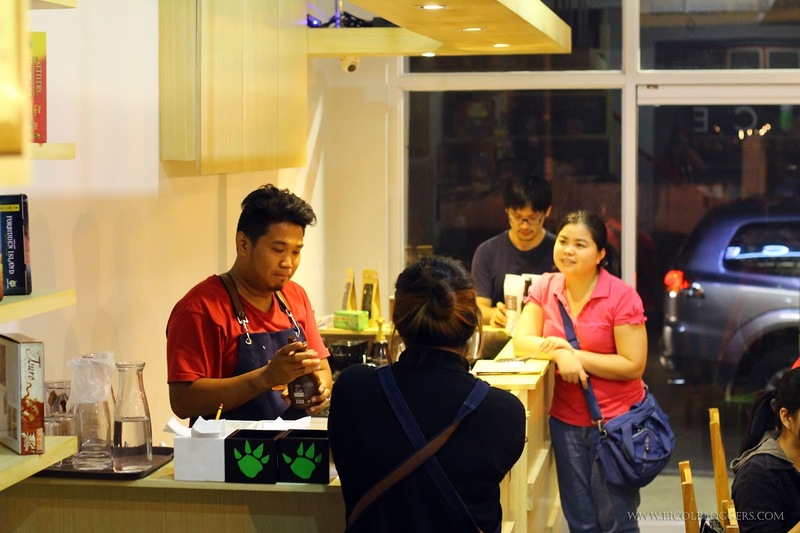 We have many cafes here in Naga catering to that side of the world and Dice caters to people who wants to spend time with other people. Make sure you come with your friends, colleagues as well as with your families. I can see some Dice Boardgame Cafe Game Night in the future. I bet this will really be fun! 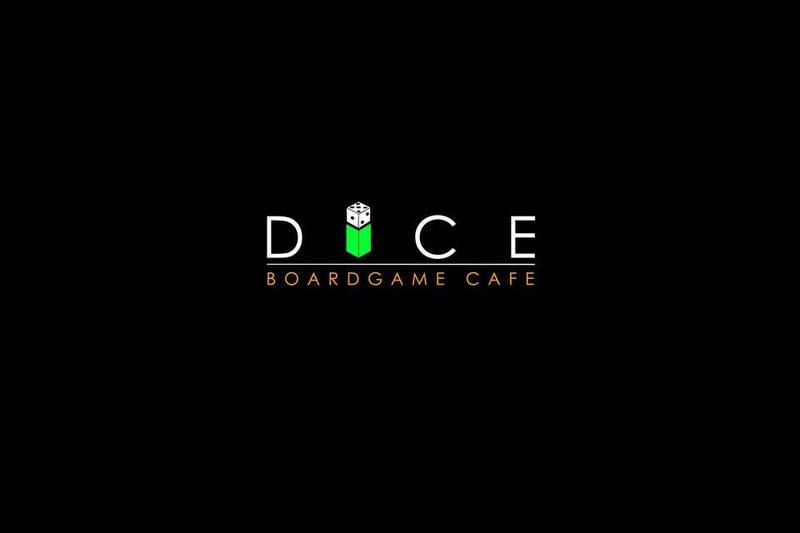 Visit Dice at Magsaysay Avenue, they are open from 2pm to 11pm and tell me what you think. They also have a second floor to accommodate customers, but because Dice is getting famous, there are many customers who are willing to wait and you should too. Game face on! Mabalos Ann, Hubert, Fraulyn and the rest of you guys for the amazing time at Dice! More power! 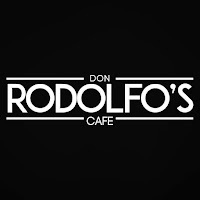 Naga City - Back in the days when ALDP Mall along Roxas Avenue (Diversion Road) was at its prime, they had this cafe known for their breads along side dishes that you wouldn't expect that they are as good as the rest of the famous restaurants in the city. Aljosh Cafe back then had these neon sign lights and on the inside it has always looked a little bit dim. Personally, it never did look appealing. From ALDP Plaza Mall to partially Robertson Mall, Aljosh was still there, so I guess there is something about this restaurant that keeps it running until today. At around 3:30 in the afternoon, the smell of the freshly baked breads will surely brighten up your moody afternoon. 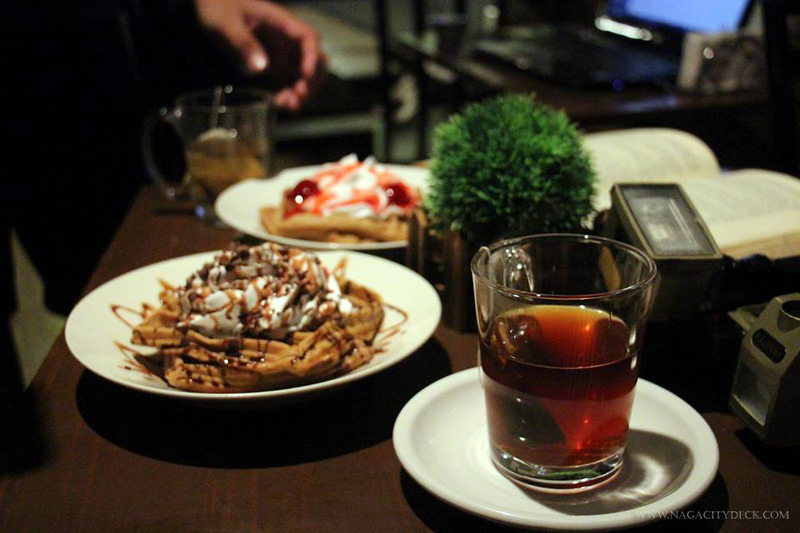 This is the memory that I have when talking about Aljosh Cafe. One Sunday noon of November 22nd, I got surprised when the facility at the back of the ALDP Plaza Mall was now all white and bright. Then I saw a signage which says, FOOD PAVILION, MONTE VISTA WALK PARK and Let's Go Play AMUSEMENT CENTER. So I guess we have to expect more development from this complex in the coming weeks since it's not yet complete. This is the covered walkway going to and fro the main mall of ALDP and the new facility. On the left of the complex is the AIR-CONDITIONED Our Lady of Penafrancia Chapel, where Sunday Masses are regularly celebrated. Beside the chapel is an amusement center for the kids. Yay! 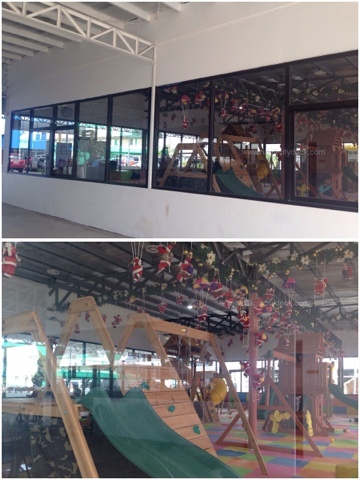 This indoor playground is actually the biggest here in Naga City (I think) offering the same facility. I know kids will surely beg their parents for this. Now, in between the Amusement Center and Alojsh Cafe is the way towards the Monte Vista Walk Park. 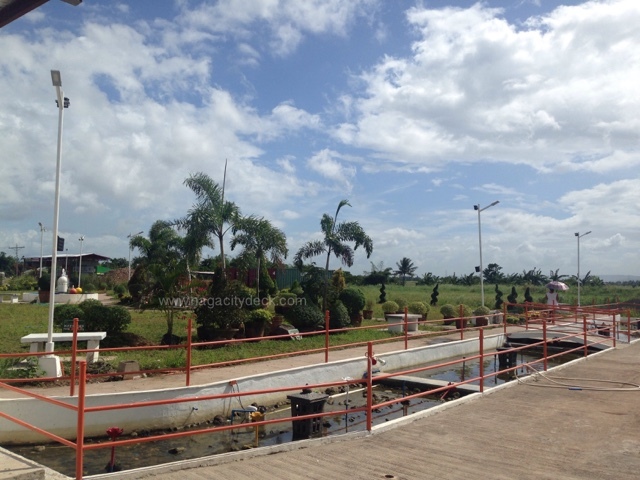 There's also a common restroom with enough cubicles in the middle of the complex which are also all well maintained. I hope it stays that way especially when the whole complex is on its full swing of operation. To be honest, I'm quite doubtful about this walk park because it looked too hot maybe because it was formerly an unused parcel of land. Perhaps more trees can make this area a little bit fresher. Anyway the park is not finished yet so I dare not conclude yet. 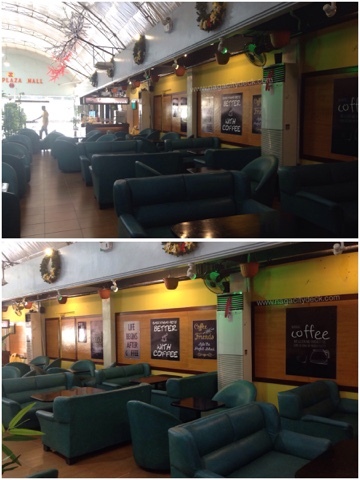 Now going back to Aljosh Cafe, just look at how pleasing it is now compared to its former location at the ALDP Plaza Mall. 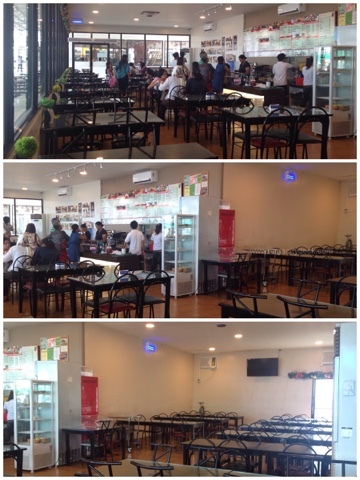 The restaurant / cafe is beside the amusement center. 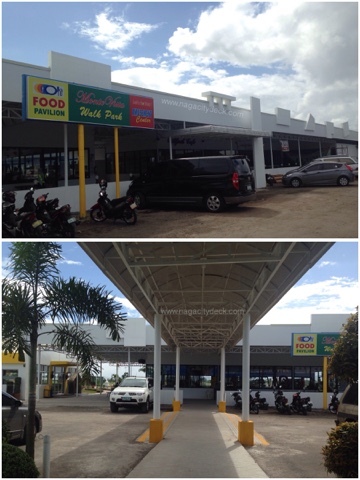 The FOOD PAVILION is on the rear end beside Aljosh Cafe. I think the food stalls inside the mall will be transferred to this area where it's more spacious and presentable. If I happen to drop by again, I'll just post the updates here. 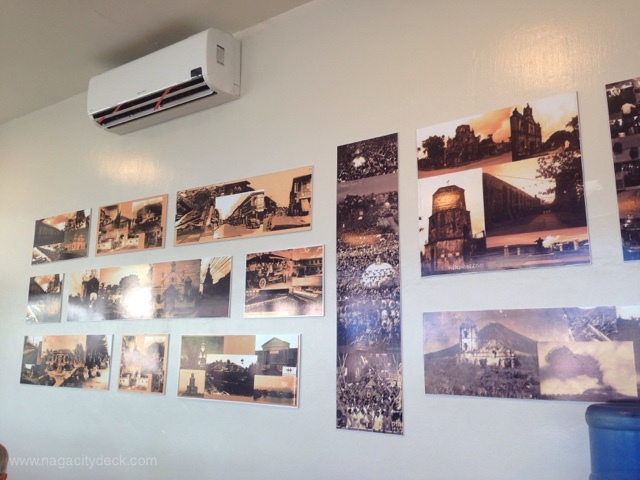 Upon entering the restaurant, on the left are photos of old Naga, Penafrancia festivities and old churches and places in Bicol. Pretty amazing as you look at them one by one. You might as well have a glimpse while waiting for your the food you ordered. The new location of Aljosh Cafe is definitely huge. With huge I meant, around 18 tables which can accommodate at least 4 persons each and 9 tables which can accommodate at least 8 persons each. To sum it up, it can accommodate around 144 persons. But wait, there's more! Though I am not sure about this one, there's another room beside the L-shaped main restaurant and from the looks of it, I think it can accommodate more or less 20 persons for private functions. Spaces in between tables are ample enough so that it wouldn't look and feel too crowded. 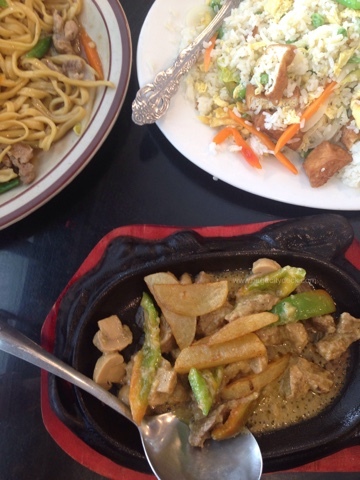 With the wide array of choices on the menu and the affordability, you can never go wrong in bringing your whole family or friends for lunch or dinner. SERVING SIZE is AMAZING! 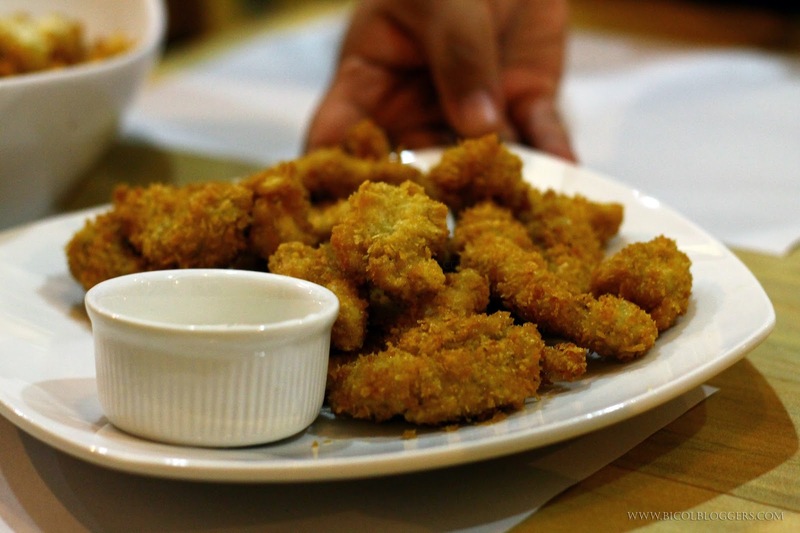 It's more than the usual among other restaurants here in Naga. I'm not exaggerating. I even saw two ladies who where about to take out what they haven't consumed, I guess they were not expecting that they would be eating as many even though it was just sinigang and buttered chicken. It's like everything is placed on a super platter. I would rate the TASTE of the food as 3.5 to 4 stars out of 5. 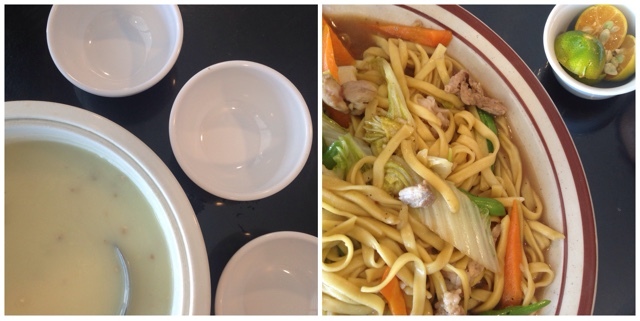 Probably if I'll come back and try the other dishes I would rate it as 4 to 4.5. 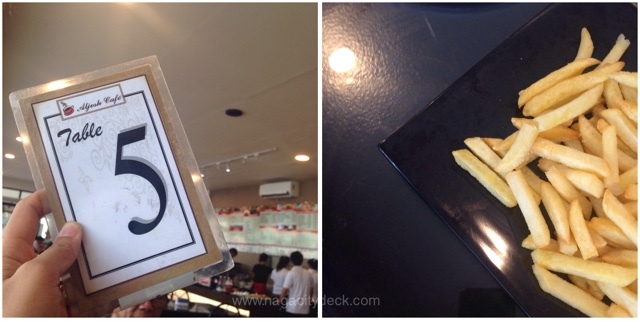 Given that we were 4 adults with 1 ten year old child during our visit, our total bill was only around P550. The whole place is like a good comeback for Aljosh Cafe, interior wise, it's on an average and usual type but you're there for a good meal anyway. So there, if you're looking for a new decent place with a good serving size for snack, lunch or dinner, Aljosh Cafe is a must try. 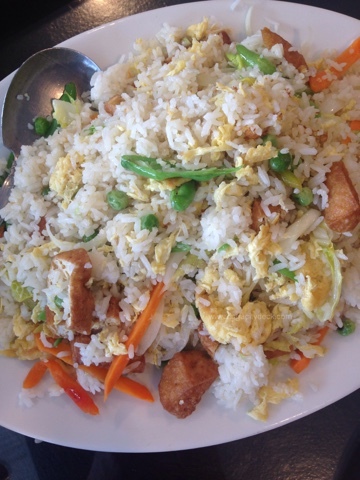 Quantity matters for people who are tight on the budget and the taste of their food is definitely above the average. Thanks Aljosh Cafe for this suprise come back! 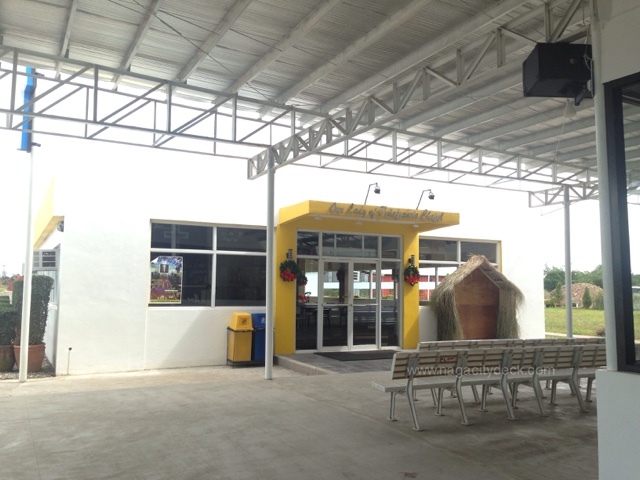 If you are familiar with Aljosh Cafe's mini area in between DIY Shop and Angena Trading, they sell freshly baked breads in the afternoon perfect for merienda. Panlegaspi please! 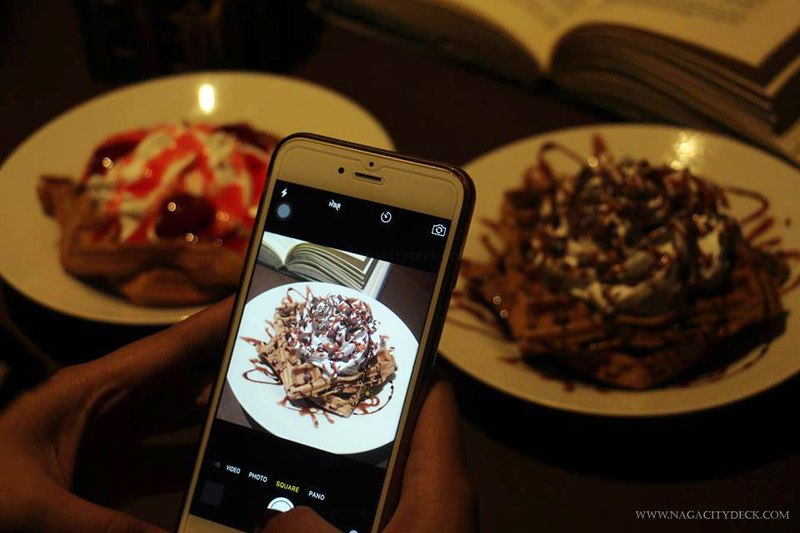 On the photo below is another Aljosh Cafe corner. I believe this is for the IBM employees during graveyard shifts. Stay tuned for the Food Pavilion and Monte Vista Walk Park update on this page. 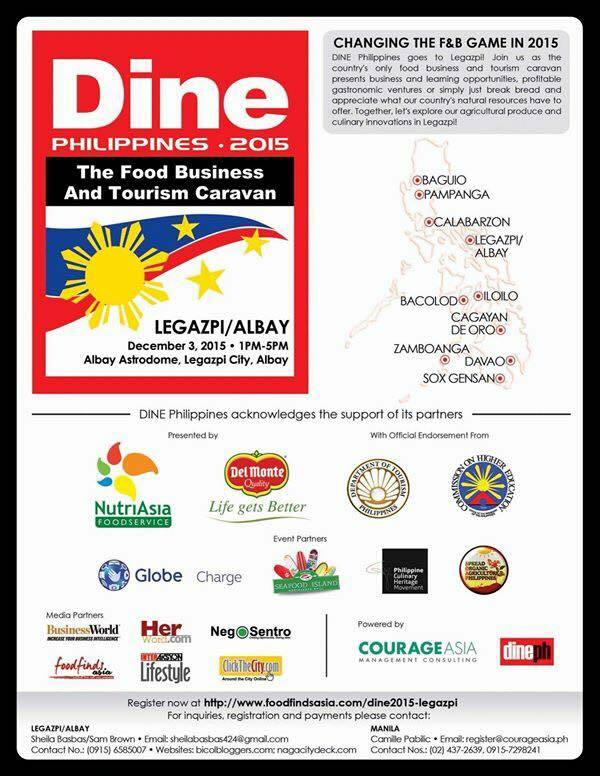 Dine Philippines goes to Legazpi! Join us as the country's only food business and tourism caravan presents business and learning opportunities, profitable and gastronomic ventures or simply just break bread and appreciate what our country's natural resources have to offer. Together let's explore our agricultural produce and culinary innovations in Legazpi on December 3, 2015, 1:00 to 5:00 pm at the Albay Astrodome. 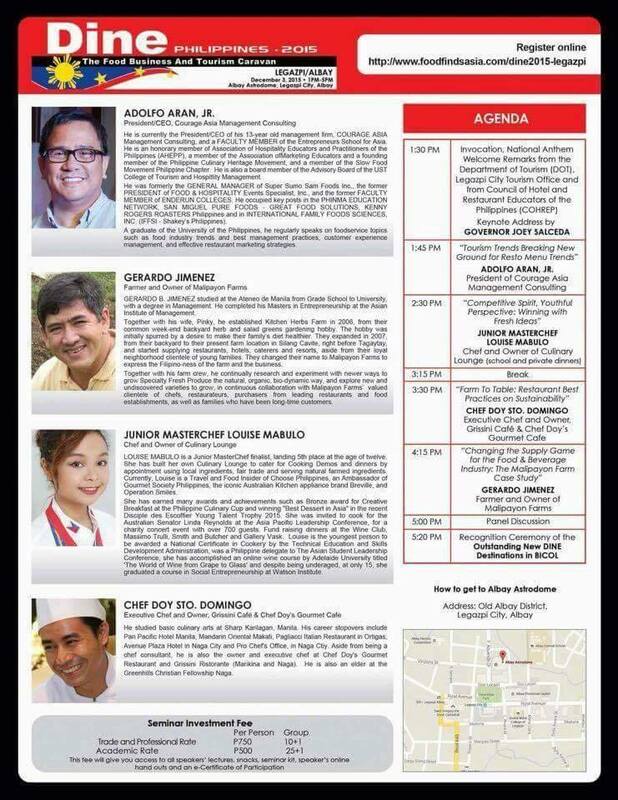 "DINE Philippines brings four (4) top-notch speakers to Legazpi City in the field of Food Business and Tourism, who will be sharing with you the latest trends, best practices and trade secrets of the industry. Mr. Adolf Aran Jr., President and CEO of Courage Asia will talk about “Tourism Trends Breaking New Ground for Resto Menu Trends”. Junior Masterchef Louise Mabulo, Chef and Owner of Culinary Lounge will share “Competitive Spirit, Youthful Perspective: Winning with Fresh Ideas”. Mr. Gerardo Jimenez, Farmer and Owner of Malipayon Farms will discuss “Changing the Supply Game for the Food & Beverage Industry: The Malipayon Farm Case Study”. 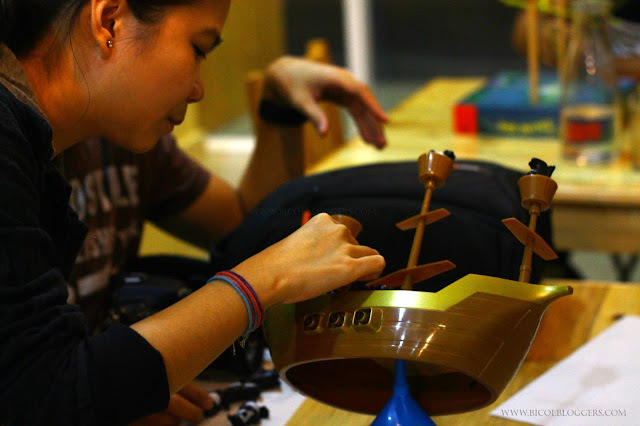 Learn and be inspired with the country’s best and finest! 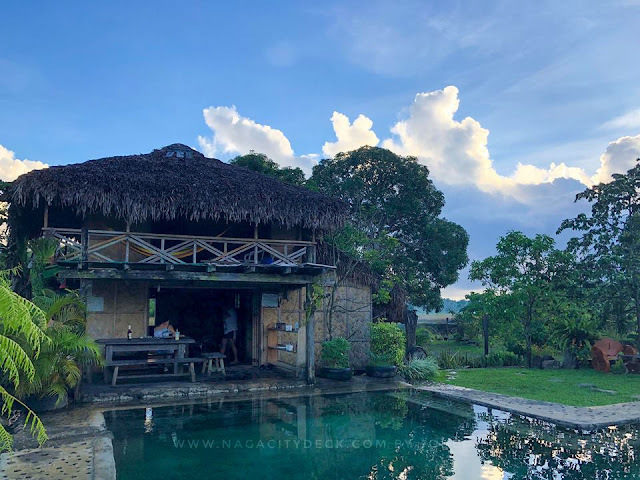 Naga City - There's a saying that sometimes we have to slow down, but I think this is not the case here in our city when we talk about cafes. When more cafes open, here comes the healthy competition between the brands but but lies the excitement on our end as customers. 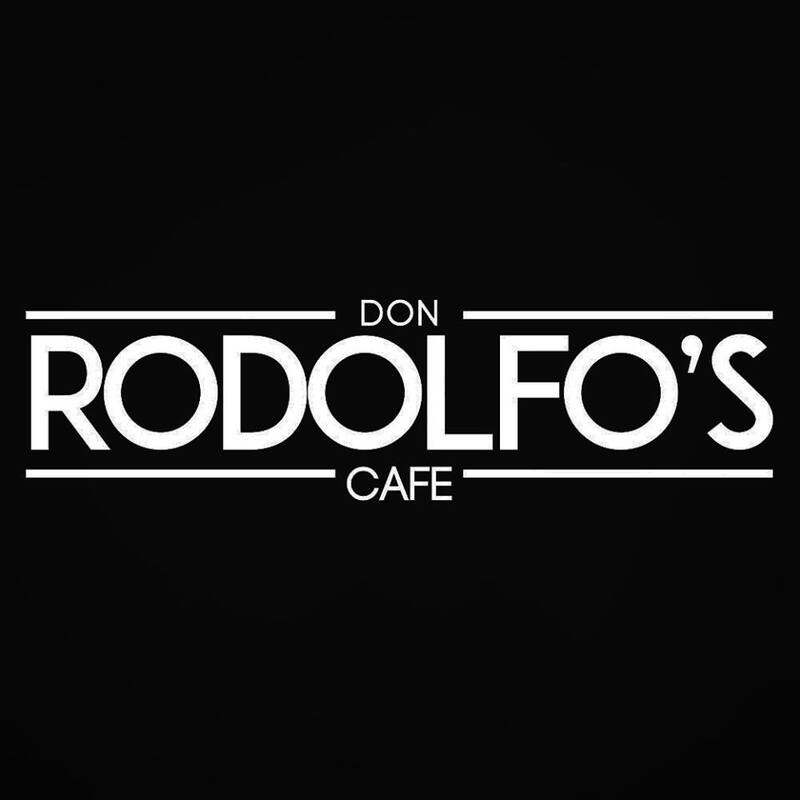 Last July, Don Rodolfo's Cafe (DRC), opened its doors to Nagueños offering art and unique food like the Black Burger, best sellers Sisig Pasta, S'mores and a whole lot more. (CLICK HERE for the first review of DRC). Roughly after four months, DRC has new offerings perfect for the holidays and your after school or work coffee. 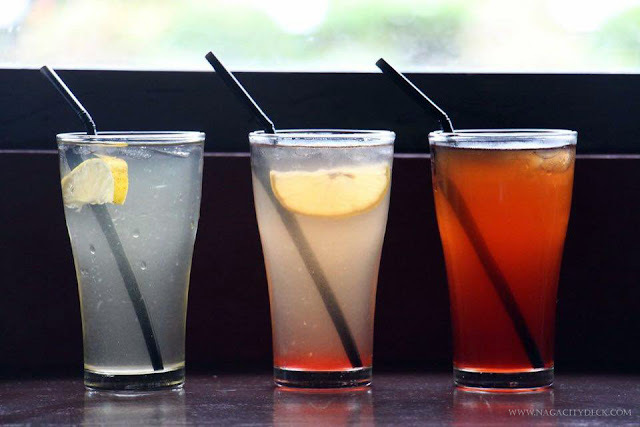 I personally like the Lemon Peppermint and the hot Lychee tea. 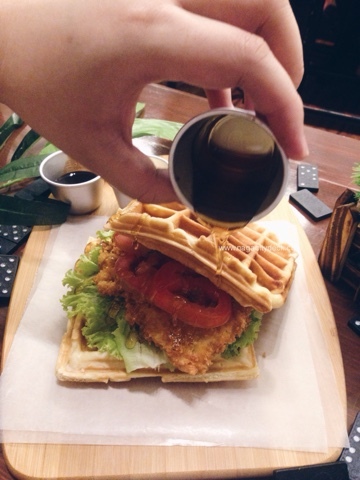 Served with chicken, lettuce, tomato and your choice of sauce - maple syrup, chocolate or cheese. Requesting for extra sauce is an added cost of P29 only. If I will be ranking the sauces it would be the maple syrup as my top choice, second is the cheese and last is the chocolate. 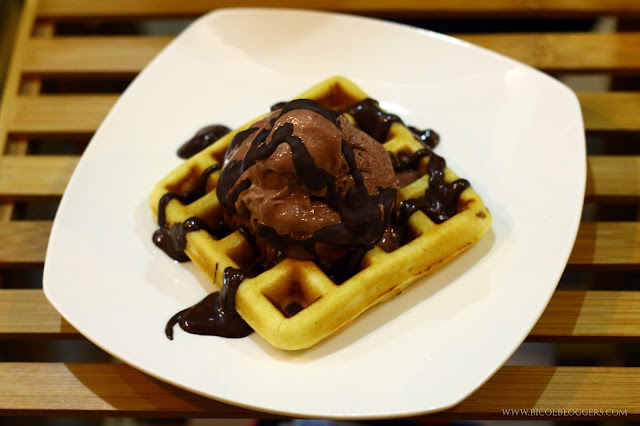 Not that the chocolate is the last option but it pays to consider your drinks when choosing your sauce so that they would complement each other. As for me, I wouldn't want my food to be as sweet as my drink. 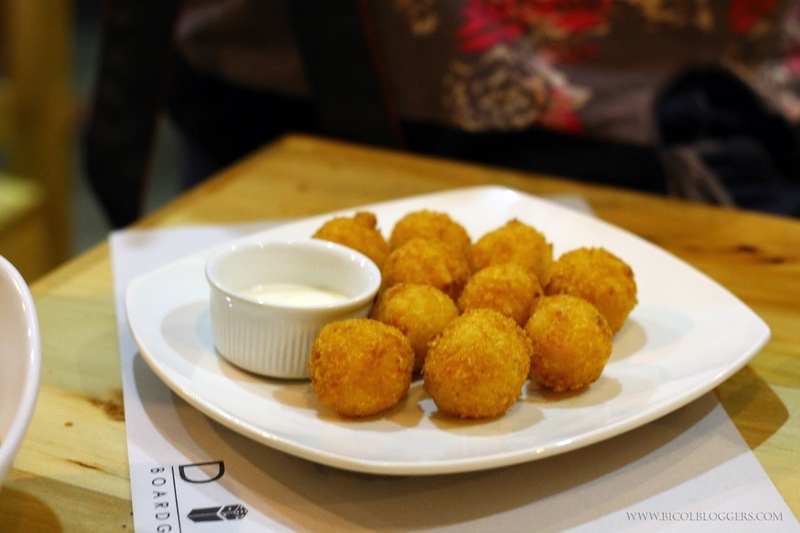 And oh btw, the cheese sauce is the same good old sauce used in DRC's best seller burger. Apologies for the multiple photos of the waffles below, I just can't get enough of them. 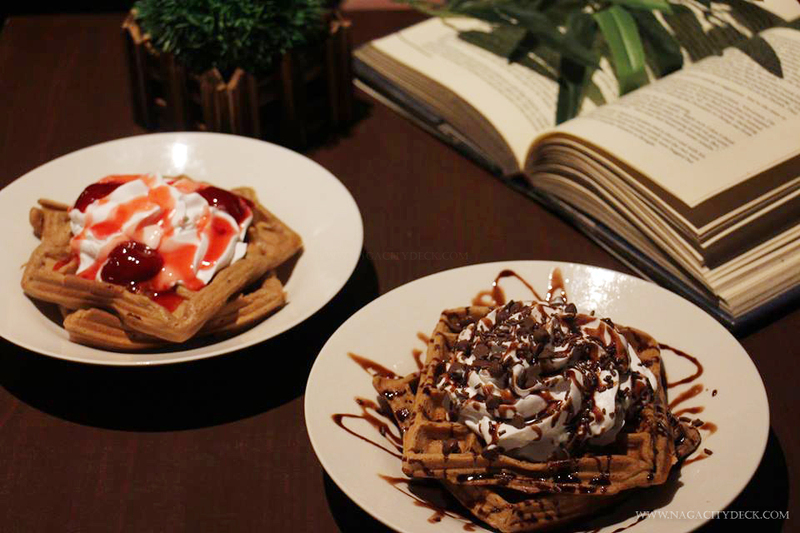 Choose from strawberry, chocolate for P119 or bacon P129. . 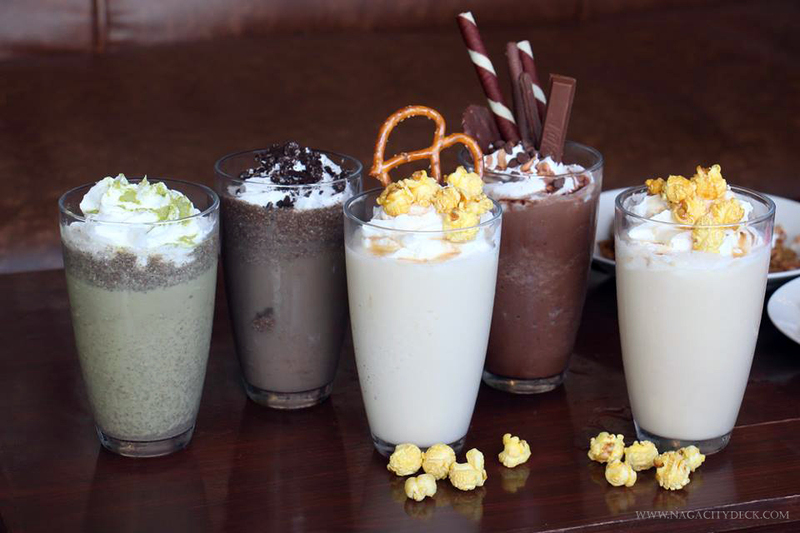 I have a sweet tooth, so these are all in my favor. 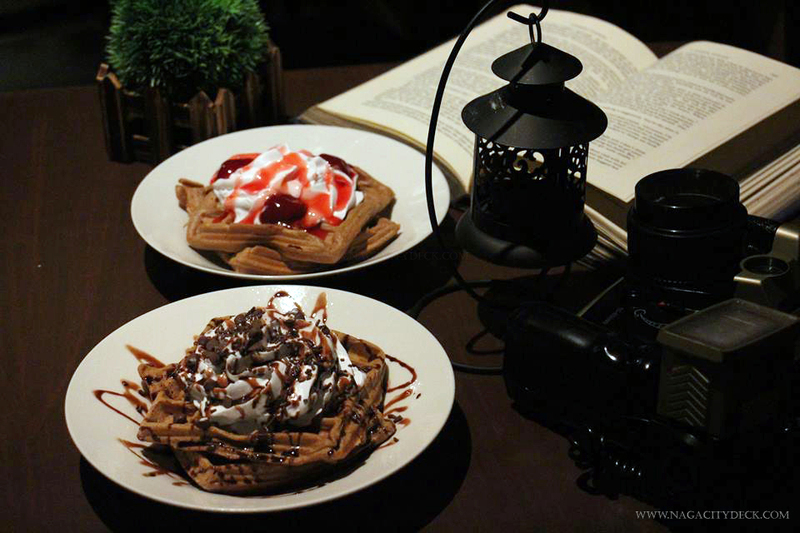 In Manila, prices of waffles ranges from P180 and up. DRC never fails to amaze us with new offerings, the source of something new in the metro. Unlike any other coffee shops both from local and international brands I find DRC's Green Tea Kitkat Frappe and Salted Caramel just right for my sweet tooth. Not too sweet but definitely not too bland. 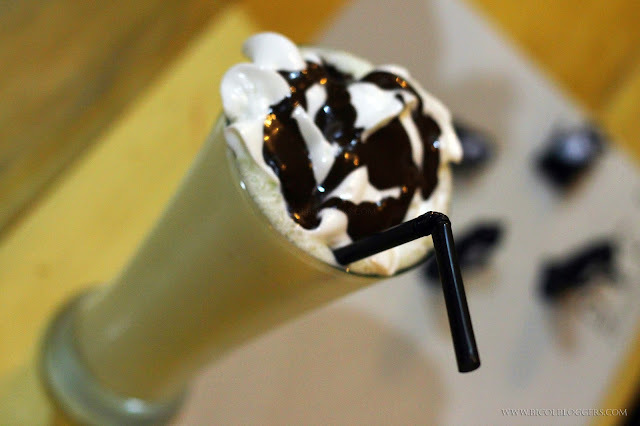 The Salted Caramel Frappe is perhaps the most photogenic Frappe in DRC next to the Choco Overload. There goes my tea and my waffles.